Are you on Pinterest? Almost 12 million people are. Although it was created in 2010, Pinterest really didn’t grow in popularity until early 2012. Then it virtually exploded! Today Pinterest is the number three social media site behind Facebook and Twitter. And, although 80 percent of the fans are women and the largest demographic is the 23 to 45 age group, new personal and business users are joining every day. So what is Pinterest? Pinterest has been defined as a virtual pinboard. 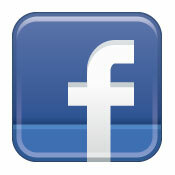 On this social networking site you as a user can collect photos as well as link to products. You can browse boards created by other people to discover new things and get inspiration from people who share your interests. You’re able to organize and share everything you find on the web. The collections of photos or videos can be interesting, informative, beautiful, funny, helpful or inspiring. It’s a simple and easy way to collect things you are interested in, categorize them and save them all in one place – or on one board. Most people use Pinterest to find inspiration, whether getting married, decorating their home, seeking household tips and DIY ideas or just looking for a recipe for dinner. In my case, for example, a friend encouraged me to try Pinterest because I was thinking of remodeling my kitchen. I was looking for ideas and a place to keep pictures of kitchens and kitchen components that I really liked. Hence my first board was created, “My New Kitchen”. There’s a famous episode of Seinfeld where Kramer wants to create a coffee table book that looks like a coffee table. While not quite as ingenious, today’s blog is about – wait for it – the Allen Tate blog. In May 2010, Allen Tate launched At Home in the Carolinas. But from the beginning, the intention of our blog was more than just real estate topics. Its vision was to be a resource for all things Carolinas, because we believe homeownership is about community and quality of life and more. We’ve offered topics from a variety of authors on local attractions, things to do, Carolina history and folklore, and interesting businesses who make their home here. We are pleased to announce that we are now communicating with our clients in a new way – through our Allen Tate Insurance page on Facebook. What a great way to stay connected and engaged with our favorite people! We invite you to post your questions and comments about insurance, and we’ll do our best to keep you informed about events, changes and opportunities affecting your home, vehicles, personal property, life insurance and more. We also hope to learn from you about what is important when it comes to insurance coverage. When I was younger, I played games any chance I could get. If I couldn’t find a board game or a deck of cards, I would create games for myself to play and enjoy. At the drop of a hat, I imagined up rules, scenarios and even different worlds for my games to take place in. Playing games was one of my greatest pleasures as a child. Now, many years later, even though my enjoyment of games hasn’t diminished one bit, the frequency at which I play has sadly become less and less. So, you can imagine the joy that washed over me when my company gave me the opportunity to incorporate a game into our corporate sponsorship of the Carolina Panthers last year. [Enter image of applause, fireworks and Genevieve grinning from ear-to-ear]. There are moments in history, when an influential person dies, that you never forget. For many, it was the death of John Lennon. Before that, the death of John F. Kennedy, and before that, Franklin D. Roosevelt. Last night, it seemed as if the world, both online and offline, stood still. The news of Steve Jobs’ passing spread like wildfire. In an instant it seemed as though we all found out together and in that same instant it seemed as though our world was changed forever. That wise man was Steve Jobs and it seems that a certain Mark Zuckerberg took those words to heart because last week, Facebook went through a round of changes that rocked users to their core. As consumers, we change our behavior patterns constantly. Our likes, our dislikes, the way we interact with others and communicate changes all the time. So, wouldn’t it then make sense that a social network that thrives on those attributes change as well? We pride ourselves on progression and innovation, yet Facebook’s progression and innovation is consistently met with anger, outrage and an “I want the old way back” mentality. Change is inevitable, especially when it comes to the realm of social networking. Whether it is Facebook, Twitter, LinkedIn or whatever else decides to come along, change is inevitable. As consumers, we can either embrace and take advantage of that change or turn our back to it. My opinion is to embrace it because if you don’t, you will get left behind, which brings me to the most recent changes to the social networking giant. Is Word of Mouth A Part Of Your Strategy? I bought two houses before I even fathomed I would have a career in real estate. With the first house, I found an agent to represent me by haphazardly calling numbers I saw on “For Sale” signs that I drove by. The truth of the matter is that she became my agent by default. Her persistence won me over and quite frankly wore me down. The second home (which I truly think of as my first home because it was mine alone and no roommates were required!) was a bit of a different story. After learning my lesson the harder way, I decided to do my homework and find an agent whom I thought would be a better fit for me. One potato, two potato, three potato, four. Five potato, six potato, seven potato, more. Substitute the word “potato” for “social network” and you’ve got yourself a catchy little ditty that sums up today’s social networking climate beautifully. Every time I so much as look away, it feels as though I have to look back and play catch-up to all of the latest and greatest gadgets, websites and doodads that have launched in my brief absence. Overwhelming? Oh, you betcha. And this coming from a girl who doesn’t mind living online and reading book after book about trends and case studies (I’m a nerd, I know). Is it going to slow down? Perhaps. But not anytime soon as far as I’m concerned. 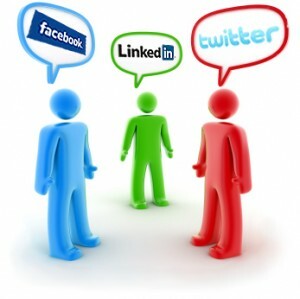 What Makes A Good Social Media Communicator? Social media communicator. It’s funny to think that that phrase was not in existence a mere handful of years ago. In fact, if someone had approached me at my college graduation and said that I would soon become a social media communicator I would have laughed and looked at her as if she had four heads and 8 pairs of eyes. Wondering what in the world a social media communicator even was, I would have said, nah, that’s not me. I only use Facebook to keep tabs on my friends (ok, fine, the occasional ex-boyfriend) and post pictures. Today, I’m obviously whistling a different tune and don’t bat an eyelash when someone defines me as a social media communicator. I am exactly that and do not stand alone. Social media communicators today are vast in number and varied in shape and size (not physical, mind you). Earlier this week, I found myself sitting on the couch channel-surfing, not something I do often. I was hoping to come across something of value, when suddenly, a title of a TV show that I once watched religiously jumped out at me (no judging on the TV show ok?). It wasn’t the name of the show that caught my eye, but rather, the little word in parentheses that followed it. There it was: America’s Funniest Home Videos (new). For a naïve moment, I thought, “How on earth can this show still be running?” But then I realized that this is the precisely the type of show that will never run out of content – especially today.